With the unveiling of the Subaru Viziv at the Geneva Auto Show, we knew it wouldn’t be long before Subaru unveiled a production-ready hybrid. The Viziv diesel plug-in hybrid featured a distinctive version of Subaru’s symmetrical all-wheel drive system, utilizing electric motors mounted in front of each rear wheel to power the rear-end. This meant the interior could be larger as there was no need for a driveline from the diesel engine to the rear wheels. While we don’t yet know if the Subaru XV Crosstrek Hybrid will replace its traditional all-wheel drive system with an electric motor hybrid-based unit, we wouldn’t be surprised if it did. 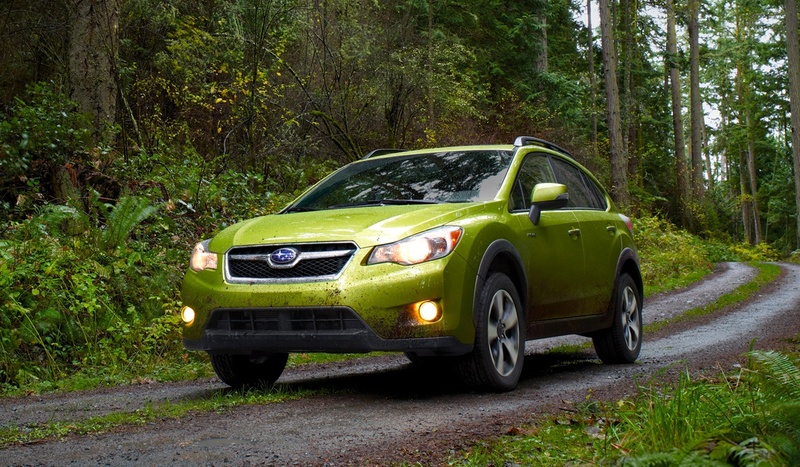 What we do know is that we absolutely love the standard Crosstrek and a hybrid version could prove quite interesting – and a big seller in the Pacific Northwest, which is already mad about hybrids and AWD Subarus in general given the coast-to-mountains terrain. Along side the XV Crosstrek Hybrid, Subaru has said it’ll unveil a new performance concept vehicle. Could this mean a BRZ STI? We’ll have to wait and see. We’re hoping it does and will be crossing our fingers until we find out next week. The 2013 New York Auto Show kicks off next Wednesday so be sure to check back for more on the Subaru unveilings.